Investment cast 316 stainless steel.#6 FH fastener. A: 2-3/8".. 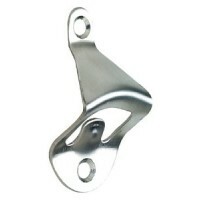 Manufactured of 304 polished stainless steel, stamped and formed. #8 screws included. Size: 1-1/2" W..